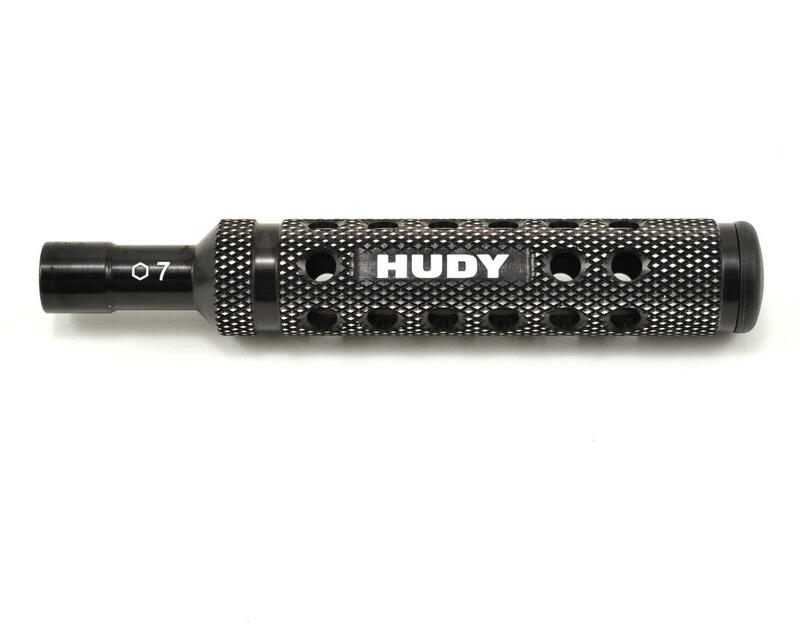 This is the Hudy Limited Edition Aluminum 1-Piece 7mm Socket Driver. Featuring a super-lightweight CNC-machined Swiss 7075 T6 aluminum handle with a diamond pattern surface for unsurpassed grip, this socket driver is ideal for tightening/loosening M4 wheel nuts. The handle includes a black plastic cap press fit into the handle end. Optional color-coded plastic caps (violet, red, blue) are available to customize the tools to your specifications. Closest one will ever feel to being a SUPERSTAR using this clever socket driver. So light, holds your axle nuts just perfect. 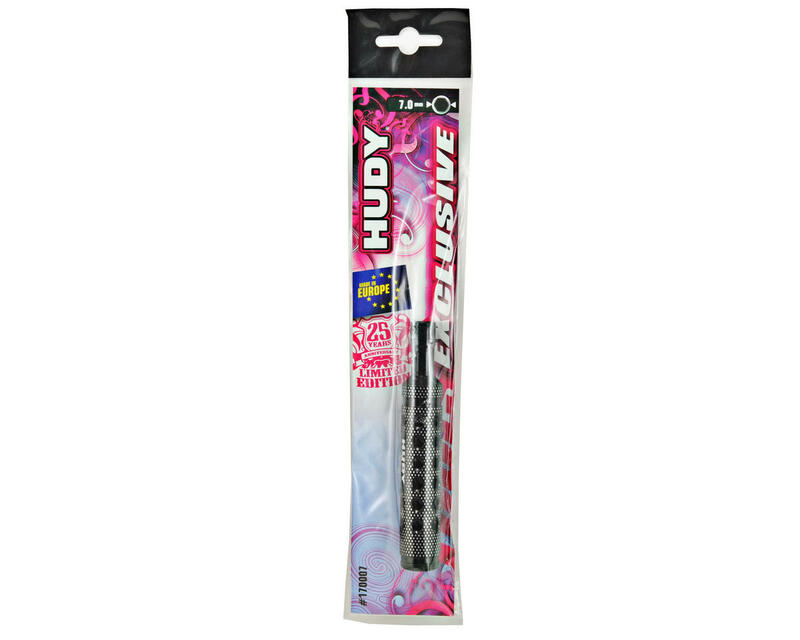 Effortless, flawless and plenty grippy. QUALITY 5 STARS! An absolute must have for any club racer or touring car driver. Hands down the single most used tool in my collection. Makes installing & removing wheel nuts quick & effortless. The shortened length of this tool is what makes it so great, as it provides more control than a standard driver, and helps keep your hands closer together when working, making it easy to pick up other items, or hold things steady.